Tigo®, pioneer of the Smart Modular Flex MLPE platform, unveiled the updates to its SMART Website, the company’s next generation online monitoring platform. The SMART Website manages system-, string-, and module-level data for utility, commercial, and residential PV systems. System analytics track production, send alerts, and proactively suggest maintenance actions to keep systems operating at maximum efficiency. For Rapid Shutdown, Tigo's SMART website can remotely power-off each module individually, eliminating high voltage for maintenance or safety purposes. Customers can upgrade from Basic to Premium monitoring subscription on either site to enjoy maximum visibility into their systems. 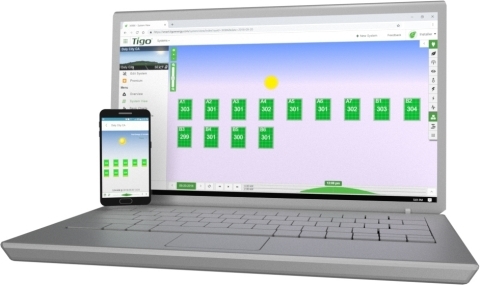 The next generation updates go live for all PV system owners worldwide with Tigo’s monitoring. Customers can log in and still have the option to switch to the original website in many languages. The company has published user videos for system owners and installers. Join Tigo’s Training Team for an in-depth live training webinar on Thursday February 14th at 10am PT, and learn how to navigate the new SMART Website. New Guidelines– Added information & steps throughout website and system setup process.